Why people + process + technology = recipe for success. Medical necessity denials have plagued the health care industry for quite some time. And now that the transition to ICD-10 has occurred, the potential for denials may soon increase, particularly if organizations don't create prospective pathways to compliance. "Medical necessity was a complex animal in a pre–ICD-10 world, and it's going to be even more complicated in a post-ICD-10 landscape," says Dave Boucher, a health care professional and senior managing director at Jacobus Consulting, which focuses on helping providers optimize clinical and financial systems, reengineer processes, and improve efficiency. "If you don't have good technology and processes, medical necessity requirements and the revenue loss associated with compliance will continue to cause problems." Organizations need a combination of people, processes, and technology to effectively manage and mitigate medical necessity denials in ICD-10, Boucher says. That is, they must establish clearly defined roles and responsibilities, implement strong operational processes, and deploy comprehensive technology that addresses both the front and back ends of the revenue cycle. Organizations struggling with these types of denials typically lack one or more of these critical elements, he notes. When it comes to medical necessity denials, the motto "It takes a village to raise a child" could easily be rephrased as "It takes nearly an entire health care organization to establish medical necessity for services rendered." Which individuals are most critical in the process? Patient access staff and schedulers: These employees are the first to make contact with patients. They verify and validate health care coverage and demographic information and obtain referrals and prior authorizations. Fundamentally, they are the individuals who can thwart medical necessity problems before they occur. This setup is not ideal, however. "Unfortunately, we put some of the biggest responsibilities on some of the lowest-paid individuals in the hospital setting—and much of the process is decentralized," says Boucher, who suggests creating a career ladder and evaluating salaries to ensure competitiveness and greater accuracy, a strategy that should inspire these professionals to work harder. It also will mitigate turnover to ensure compliance on all fronts, he adds, noting that standardization of up-front processes—even in a decentralized environment—is critical. Coders: These professionals translate clinical documentation into coded data that insurers subsequently use to determine whether services are medically necessary. Thus, coders must understand the medical necessity implications of the codes they assign. Ideally, they would have access to all local coverage determinations (LCDs), national coverage determinations (NCDs), and payer policies, plus be provided sufficient time to research medical necessity-related questions. "Denial management creates a great opportunity for coders to grow their skillsets and learn more about the back-end of the revenue cycle—to understand how the codes they enter impact revenue for the organization," says Kathy DeVault, RHIA, CCS, CCS-P, manager of HIM consulting services at United Audit Systems. As medical necessity denials become more code based (rather than charge based), coder expertise will be increasingly required for remediation, she says. Physicians: Physician documentation is at the core of medical necessity compliance. Thus, physicians must understand the medical necessity implications of their documentation, which requires ongoing education. "Medical necessity denials are often associated with poor documentation and a lack of specificity at the front end," says George Krucik, MD, MBA, clinical product strategist at the Hearst Health Innovation Lab, an entity focused on developing new HIT product ideas. Krucik says the following scenario occurs far too frequently: A patient is admitted with what a physician believes is chronic renal failure. The admitting physician doesn't reference any past lab values in the current assessment, leading the insurer to believe that the patient could have improved with rehydration rather than hospital admission. A costly denial ensues for the organization. "In many ways, these denials result in a forensic view of the patient encounter," he says. "There's no proactive element once the claim is dropped. You need to figure out what's in the chart that you missed." Chief medical officers and chief medical information officers: Successful medical necessity denial mitigation requires executive buy-in. In particular, chief medical information officers must reach out to all physician practices, including those that the hospital owns or with which it's affiliated, as well as independent practices, Boucher says. Focusing on clinical documentation to drive patient care yields better results than focusing specifically on a particular LCD, NCD, or medical necessity requirement, he adds. Patient advocates: In an era of patient engagement, patients are increasingly responsible for their physical—as well as fiscal—health care, Boucher says. In some cases, patients actually are among an organization's best tools to mitigate medical necessity denials. For example, if a patient takes the initiative to call an insurer, he or she may be able to flag a diagnosis that won't meet medical necessity requirements. However, patient empowerment requires significant education—particularly for a Medicare-insured population, Boucher says. "Health care is now a consumer product. We can wear it. It's on our phone. We can access information to help us make decisions to find the best doctor for a particular procedure," he says. "But is our Medicare population doing this? Some may, but I'd say that a large percentage is not. This is really a population health issue to help steer patients and navigate them not only with their own health care beyond the walls of the hospital but also in terms of fiscal protection." Boucher says the complexities of the health care system have inspired some organizations to hire patient advocates—oftentimes someone with an HIM or case management background—who can help all patients navigate medical necessity requirements. • Set up information tables in the cafeteria to answer patient questions about coverage and medical necessity. • Post flyers throughout hallways and waiting areas that include frequently asked questions and contact information for the revenue cycle department. • Be vocal and visible in the community. Advertise the hospital's role in protecting patients' financial interests. • Offer basic tutorials about medical necessity, including how to read an explanation of benefits. • How will physician education be addressed? A process for obtaining detailed physician documentation is vital, DeVault says. "As we get further down the road with ICD-10, CMS [Centers for Medicare & Medicaid Services] is going to look at what is truly valid for medical necessity," she says. "I suspect that a lot of the unspecified codes might drop off the lists, and we're going to need to adjust our documentation. It all goes back to physician education." • How will relationships with physician practices be handled? Establish a feedback loop with physician practices regardless of whether they're affiliated with or owned by the hospital, Boucher says. "That referral process is where medical necessity either succeeds or fails," he says. Patient access staff—as well as decentralized scheduling teams—must have a standardized and collaborative process to work with providers to obtain either a more specific ICD-10-CM diagnosis code or an alternative procedure or diagnosis that's deemed medically necessary. • How will the organization determine the validity of medical necessity edits? DeVault, who helped prepare various organizations for ICD-10's arrival, has now turned her attention toward coding audits and reviews. With medical necessity denials already becoming a factor, she advises coders to question their accuracy before taking action. "We need to perform due diligence on NCDs and LCDs to make sure the medical necessity edits we're getting are valid," DeVault says. In November 2015, CMS announced it was aware that certain NCDs and LCDs required further refinements for ICD-10. The agency stated that most claims would be automatically reprocessed and not require additional action by the provider. As of press time, several Medicare administrative contractors had yet to finalize ICD-10 updates to various LCD policies. For example, Novitas encourages providers to request an LCD reconsideration if they think an LCD policy is missing an appropriate ICD-10 code. "Policies are being updated all the time," says Crystal Ewing, a senior business analyst and manager of regulatory strategy at ZirMed, a provider of cloud-based revenue cycle management and population health solutions. "Because there are so many new codes, there's definitely a risk of an increase in denials—especially if there isn't a good strategy to identify what those updates are and when they're occurring. There may be more missing codes as providers start to bill codes that aren't part of their frequent, high-volume list." Although people and processes play an important role in medical necessity denial mitigation, automation can ease the burden. Consider the following ways in which technology helps organizations identify and mitigate medical necessity risk. "Having technology that can automate some of these processes can really help with ensuring that claims are sent as cleanly as possible," Ewing says. Ewing says organizations must be able to drill down into the following: Volume of medical necessity denials (look for claims adjustment reason code 50); specific reasons for medical necessity denials, such as untimely filing, no prior authorization, no eligibility, and payer guidelines not met; and the cost associated with each type of medical necessity denial. "Create specific write-off codes that match the reason for why you write something off," Boucher says. "A contractual write-off (that you budget for) is not the same as a medical necessity-related write-off (due to a bad process)—and the write-off codes must reflect this." Ewing agrees. "Denials are a lucky charm to understanding opportunities," she says. Organizations must identify how much revenue is lost due to medical necessity denials as well as how much can be gained if eligibility errors, lack of prior authorizations, or some other oversight could be resolved. This additional revenue helps justify hiring additional full-time employees and providing remedial education. "Then you can go back and say, 'Across this payer mix, we've had this specific denial code related to these specific providers,'" Boucher says. 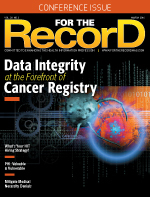 "Then you have a lot of data to use with physicians in a very collaborative and nurturing environment to work toward root-cause, proactive mitigation of denials." "ICD-10 forces physicians to be more descriptive and exact. That's where the real challenge is, Krucik says. "If you're looking for the benefit of technology, that's where you're going to have significant impact," he notes. Krucik says organizations should consider using natural language processing (NLP) for purposes other than computer-assisted coding. For example, can NLP integrate with unstructured data to identify physician documentation that could be more specific to support medical necessity? Can NLP be used in conjunction with inpatient admission criteria, LCDs, NCDs, and payer-specific policies to search for key terms that do—or do not—satisfy requirements and then prompt physicians accordingly? As the industry continues to forge ahead with ICD-10, experts believe there are several points to keep in mind when it comes to medical necessity denials. Boucher says organizations should have a big-picture view of the issue and not blame one or more departments specifically. "Medical necessity is not a patient access or patient financial services problem; it's a patient-centric revenue cycle problem," he says. View interconnectivity as a beacon of hope, DeVault suggests. As hospitals gain greater access to physician practice documentation, they'll also gain insight into the evidence precipitating admissions, increasing the likelihood that admission criteria are met. As the potential for denials increases, Ewing says operational efficiencies will continue to be important. She suggests assigning certain individuals to a particular payer or type of denial to maximize efficiencies. These staff members would be responsible for learning the nuances associated with a payer or a denial type, making them better equipped to perform a root cause analysis and appeal. Krucik says above all else, organizations must remember that technology is not a panacea. "Technology is such a small piece of the puzzle. It will only help you if you solve the people problem—not the other way around," he says.